For the third Thursday in a row, Franorama 2.0 made a fill-in appearance on WPKN as Binnie Klein wrapped up her bout with the flu. And enough blizzard snow had been removed to make the streets of Bridgeport passable, even if just one lane. And the temperature was in the 40s. And this time, the hometown Dunkin’ Donuts didn’t screw up my drive-thru order. Guess that made for a good morning. The start of the show, at 10 on the dot, marked six months to the minute my friend Alexis and I pulled out of Fresno in the rental truck to begin the trip home. The final set included a tribute to Slim Dunlap, the replacement Replacement. Sharon, my Facebook friend from Minneapolis, had sent me a link the day before telling me that the mayor had proclaimed Feb. 14 Bob “Slim” Dunlap Day. Slim’s been battling some serious health problems the last year or two, and with no insurance, and it warranted Paul Westerberg and Tommy Stinson reuniting to record a Replacements record — the Songs for Slim EP, sold by auction, raised thousands. Unfortunately, no one had converted their copies into a YouTube file yet — I’m guessing no one wants to play a record they spent hundreds for — but I did offer up one Slim song and two ‘Mats classics. And then there was the short but vast middle. It was Feb. 14, after all. To me, Valentine’s Day is a day where the single people are either wanting to be in love or too bitter to go through it again, and the couples are going through the motions of this fabricated ritual, and stressing out over cards and flowers and gifts and dinner reservations, because of some sense of obligation dictated by greeting card companies. This single, who now is firmly convinced that dates are only dried fruits grown in Mediterranean climates, went ripping through a first Valentine’s set about the downside of love. And then I got an unexpected valentine. The lovely Miss Cheryl, aka one of the dearest friends I’ve never met, and another of the many who had no reason to celebrate this day — posted a virtual valentine to my Facebook wall. 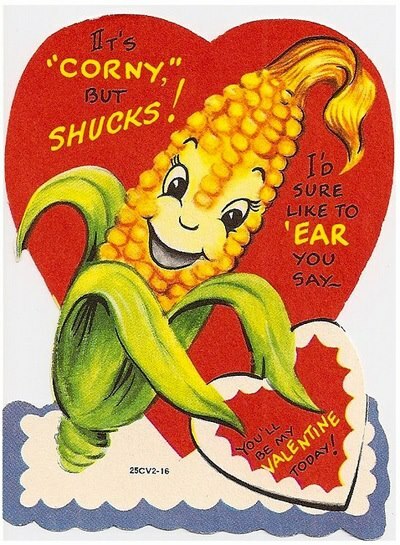 It was an old-school kids’ valentine from the ’30s or ’40s — long before every kids’ valentine pack had to be a damned licensed product tie-in — and it made me go “Aw, garshk” and blush like Popeye. And really? Deep down? I actually am a bit of a romantic but have shut down that part of my life for far too long. So I tempered the second set a shade or two — from downright anti-love to ambivalence. It’s the little things, y’know? 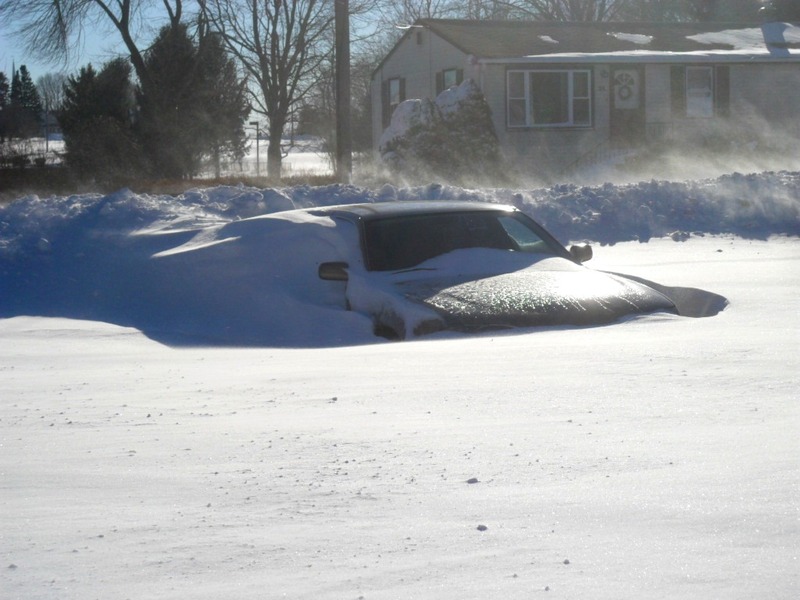 To think — two days before, I was driving to WPKN in this Camry. The morning of Feb. 7 didn’t start off on the good foot. I had another Franorama 2.0 show on WPKN, another fill-in for Binnie Klein, who was still battling the flu. I started the day with a trifecta at the Dunkin’ Donuts up the street from me. Ordered a bagel with veggie cream cheese and a large iced coffee with milk and sugar. The girl gave me the coffee and the lid popped off, and half of it spilled on my coat and my leg. She gave me a replacement — no sugar. And halfway to the radio station, I bit into my bagel to discover that, for the fourth time in just over a month, it had plain cream cheese instead of veggie. Lesson to pass on: Speed and efficiency don’t mean a damn if you can’t get the order right. But on the good side, it was sunny and relatively warm, in the 40s. Of course, if I didn’t know better — and we all surely did — I wouldn’t have guessed that there was a blizzard coming in within 24 hours. By this time the next morning, there was already nearly an inch on the ground at home, en route to three feet by the time it ended on Saturday. And it was the Ghost of Blizzard Yet to Come that inspired the second half of the show. And there were two more mini-tributes as well. One was to Paul Tanner, who died at 95 two days before. Mr. Tanner, not to be confused with the Mr. Tanner of the Harry Chapin song, was a trombonist and the last surviving member of the original Glenn Miller Orchestra. But in the ’50s, he began exploring electronic music, and in the mid-’60s, he played Electro-Theremin on Beach Boys songs, most notably “Wild Honey,” “I Just Wasn’t Made for These Times” … and “Good Vibrations.” The guy played on two of the most iconic songs in the American songbook in two different generations — “In the Mood” and “Good Vibrations.” I’ve always had an affinity for people who live out of the spotlight yet do some of the coolest things you can imagine. Mr, Tanner fit that bill. The other was one final two-song tribute to our dearly departed guitarist pal, Steve Deal. 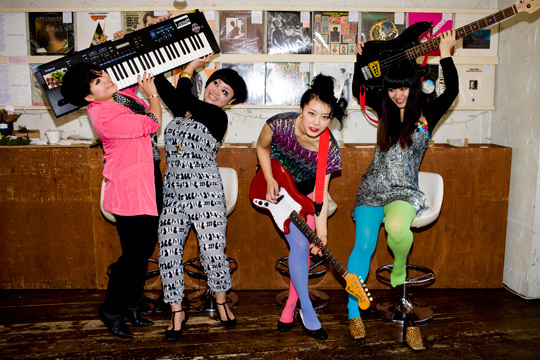 It was two newly released songs he recorded with his last band, Radiana. The boy was funny right ’til the end. Check the below video to “Brother Sun.” Steve, in the Union Jack T-shirt, did something around the 2:20 mark that would’ve made me do a spit-take were I drinking something. Anyway, it was another short, sweet and fun little drag strip of a show, Made me nearly forget all about Dunky D’s. Steve Deal. He was he was he was the Mods and more. The second Franorama 2.0 of the year on WPKN was another two-hour drag strip fill-in for Binnie Klein. And time flies when you’re having fun … or memorializing someone. Or someones. The day before the show, two people who had something to do with my musical life died. 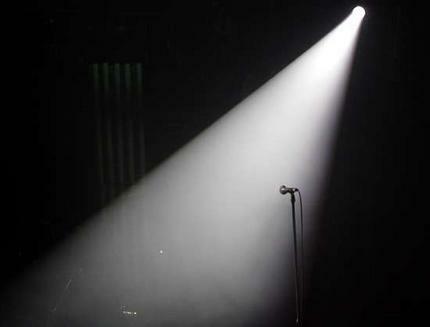 One was Steve Ceslik — also known as Stevo, Steve Deal or Steven Deal, depending on when you came into his musical life. In my case, it was in the Stevo days, in 1987 at the Grotto in New Haven, when he was playing guitar for Bleached Black, a local trio who had one self-done EP (Wrist Slashing Romance) and a self-titled debut album on a big label (Relativity) that spawned a single (“I Was in Your Life”) that was played on eMpTV. It seemed Steve, Greg Prior and Shaun Washburn were ready to reach the same national attention in underground as New Haven’s most famous group of that era, Miracle Legion. Shoulda happened. Shoulda happened with his two groups in the ’90s as well: The Absolute Zeros and especially Chopper, just a pure power pop group. Anyway, Steve, like many friends from the New Haven days, came back into my life once I had my little passive gender coming-out by joining Facebook two years ago. He was so upbeat, with an extremely witty, wry and sometimes obnoxiously funny sense of humor. 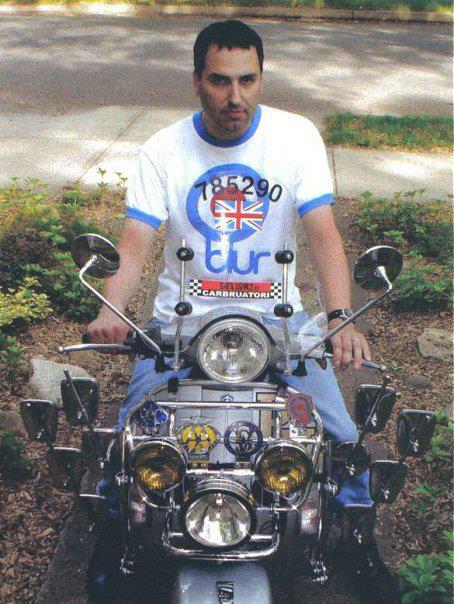 And he had those dark Freddie Mercury looks and that mirrored Vespa and that talent on the Rickenbacker. And he was so positive that I had no clue for a few months that he had been battling a rare form of cancer, leiomyosarcoma, which affects maybe five people in a million. Maybe those closer to him heard and saw him at his worst, but not the rest of us. And there he was, offering kind words to me as I was dealing with the hell of the transition and unemployment. (Talk about guilt …) And he remained musically active right up to the end, just past his 47th birthday, playing with another strong group, Radiana. The other tribute that Thursday morning was to Patty Andrews, the lead voice and last of The Andrews Sisters, who lived to twice Steve’s age. 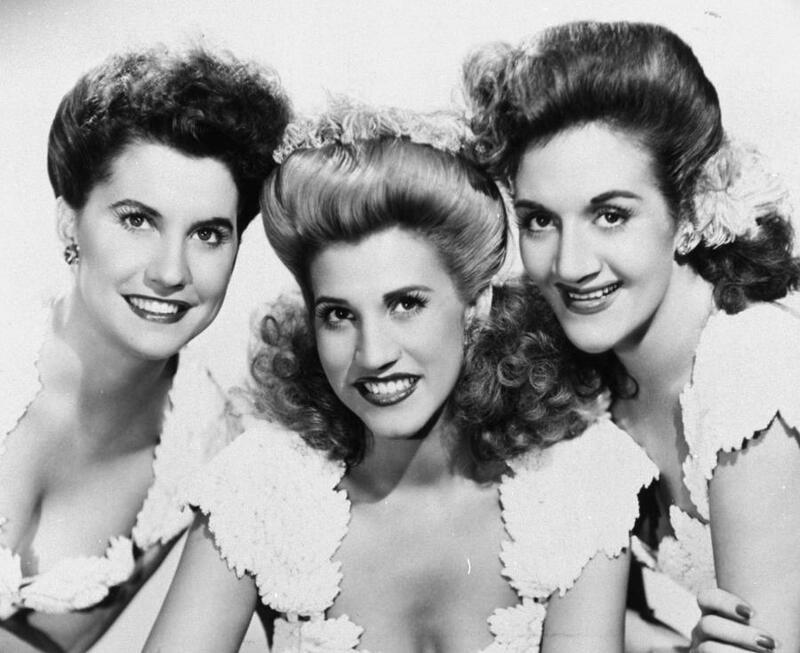 Patty Andrews (center), flanked by Maxene and LaVerne. much had to as well. (As if I didn’t stick out already — the shortest hair in my class and the nerdiest clothes and already a target for ridicule for other reasons …) But my father’s music did stick with me in adulthood: Johnny Cash, Hank Williams, Frankie Laine and the big band sounds. And that includes Patty, Maxene and LaVerne. They were iconic. And it wasn’t just the harmonies, which flowed as easily as water. I dismissed them as my folks’ music, as kids tend to do, but for some reason, it all came together one day when Channel 11 in New York showed the (barely) prewar Abbott & Costello film Buck Privates — with the girls singing “Boogie Woogie Bugle Boy” right about the time Bette Midler’s version hit the charts. I saw the electricity behind the voices. They were inspired by The Boswell Sisters, but they, in turn, inspired vocal groups. And their music inspired a wave of ’40s nostalgia at the same time George Lucas brought about ’50s/’60s nostalgia. And they also inspire fashion to this day. So many modern rockabilly dolls take their cues from Bettie Page, but deaw a line further back, past the fetish photos, to the everyday wear of the ’40s and what The Andrews Sisters and other women were wearing. The black bangs and red lipstick and insanely high patent pumps might be Bettie’s doing, but most of the dress/fashion inspiration really comes from Patty and Maxene and LaVerne. And then there was a mini-tribute to a living place: the City of New York, led off by Garland Jeffreys’ new recording, “Coney Island Winter.” It was inspired by a linked posted on Facebook by one of the dearest friends (and the coolest chica) I’ve never met, Miss Cheryl, who lives in Metro New York and styles and rock’n’rolls and knows all the cool kids. She found a link to a list of the Best Songs About New York City and put it up for debate. Like so many authoritative-sounding musical opinion pieces on the Web these days, it seems as if it were written by a kid in his 20s who thinks he knows everything. I mean, some are on the mark — from his generation, he had to give props to “Empire State of Mind,” and he also included Dylan’s “Talkin’ New York” and Ben E. King’s “Spanish Harlem.” But any list that includes those prep-school silver-spoons The Strokes or “53rd and 3rd” instead of “Rockaway Beach” is kinda suspect in my book. So, thusly inspired, I came up with my own mini-set, only constrained by time. Had I had more time, it would’ve included “Rockin’ the Bronx” by Black 47, “Waitin’ for the Man” by The Velvets, “King of the New York Streets” by Dion, “Up on the Roof” by The Drifters, “The Bottle” by Gil Scott-Heron, Grandmaster Flash’s “New York, New York” and Aretha’s version of “Spanish Harlem,” among others.